Creating a silver IRA is a smart move for any investor, but make sure you keep these simple rules in mind when creating your portfolio. Is retirement just over the horizon? Or, are you ten, fifteen, or twenty years away from entering that next phase in your life? Regardless of how soon you’re planning to hang up the timecard and enter your “golden years” as a retired individual, a silver individual retirement account can help you maximize the funds in your investment account and create lasting wealth that will serve you well into your retirement years. But before you create your silver IRA account, keep the following rules in mind to ensure your account positions you for potential gains and minimum tax liabilities. A silver IRA operates just like a traditional IRA. This means that the rules pertaining to the conventional account apply to a silver, or precious metals IRA, too. The main difference is you can add silver or other precious metals to the account, whereas traditional IRAs contain paper-based assets like stocks, bonds, or mutual funds. Silver must be held by a custodian in an approved site. Per IRS rules, you can’t simply open a silver IRA and then throw silver coins or bars under the mattress. To maintain the security and integrity of the retirement account, silver and other precious metals must be maintained in a qualified, IRS approved depository under the supervision of a registered custodian. The silver must meet purity standards. In order to qualify for use in a silver IRA, silver must be 99.9% pure, or meet a minimum fineness grade of .999. Your silver IRA firm will ensure the silver in your account meets this grade. You can’t add already-owned silver to your IRA. In essence, your silver IRA must be “funded” by purchasing new silver coins or bars using your retirement funds. You can certainly rollover an existing retirement account to purchase silver, and if silver coins or bars you already own are held in another retirement account, these are likely eligible to be transferred to the new silver IRA, too. IRS contribution limits apply. The annual contribution limits – specifically, $5,500 annually for those under 50 and $6,500 annually for those over 50, apply to silver IRA accounts, too. These contribution limits can change each year, but the $5,500/$6,500 thresholds have been in place for several years now. Only specific silver bullion qualifies for use in a silver IRA. 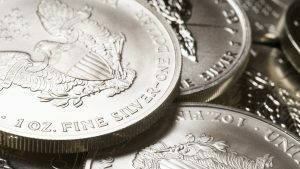 Your precious metals company will ensure your IRA only contains approved coins or bullion, which may include the American Eagle Coin, Austrian Silver Vienna Philharmonic Coin, Australian Kookaburra Silver Coin, Mexican Silver Libertad Coin, Canadian Silver Maple Leaf Coin, and 99.9% pure silver bars from certified and approved refiners and mints. Though there are specific rules governing the type of silver that can be included in a silver IRA, the accounts that are eligible for a rollover, and the way the silver must be transferred and stored, you don’t have to memorize any of these rules. In fact, your preferred silver IRA specialists will handle all of the details for you so you can enjoy true peace of mind and a transparent, compliant process – from start to finish. For more information about silver or precious metals individual retirement accounts, contact American Bullion today.